Massive city report ($) goes into extraordinary detail about why. Council Candidate Shaun Scott reacts properly. SDOT delivered 4% (!) of its 2018 bike lane plan. Taking LimePods on a test drive. Mayor thinks scooters are too dangerous, auto carnage is just dandy. Private transit center near Expedia. Driver Nathan Vass tries being nice. Let’s ban cars from the streetcar tracks. Durkan hires consultant to represent Seattle to ST; the connection seems a bit cozy, but I’d most like to know the city’s agenda. This Link security encounter sure sounds like profiling. Cynicism about capital projects is easy to understand ($): when the economy is bad, they can’t deliver because revenues are down. When it’s good, it’s because costs have spiraled. A new use for bikeshare. How we use the land area of the United States. Spoiler alert: it’s mostly cows. I often roll my eyes at the National land utilization discussion. There are many parts of the US that are so dry that they can’t be used for anything but grassland. It’s not market forces for beef or dairy creating this grassland; it’s nature. Massive species extinction due to putting cows all over what were once wild and public grasslands is a problem, and yes, does contribute to climate change. This mass species die-off is not natural. Grassland doesn’t need cows, and becomes a better carbon sink without them. Overpopulation is a problem. Increased population equals increased food requirements. Whether it’s cows or wheat, more and more land is needed, unless GMOs are used more, which have gotten a bad rap lately. The bad part is they take a beautiful farm and turn it into cheaply& poorly built residential areas, that’s the greatest threat in my opinion. My question is why golf courses get so much land! The data combines unused grassland with grassland used for grazing. Your point is valid — but these data don’t provide enough separation to make that conclusion. Actually, this misinterpretation is a mistake in the STB headline and summary line. U. S. beef consumption is four times higher than the world average. This, despite a shift towards more chicken (https://www.wri.org/blog/2018/01/2018-will-see-high-meat-consumption-us-american-diet-shifting). The average consumer eats over 200 pounds of meat each year (https://www.seattletimes.com/business/americans-meat-consumption-set-to-hit-a-record-in-2018/). If Americans shifted to a less meat intensive diet it would be much better for the planet, as well our health. My guess is we won’t. Americans aren’t really interested in their health, and are easily swayed by deceptive advertising (no, pork isn’t white meat). I think the best chance from an environmental standpoint is lab meat. This makes sense to feed to dogs, as well as cost conscience consumers. You get the same bargain cost meat without the government chipping in the huge subsidies. Of course eliminating the ethanol nonsense would also be a good idea. It’s not just people eating steaks. A lot of that beef is in processed food and institutional cafeterias.A lot is in McDonald’s burgers and packaged spaghetti. And while you can say “People who buy those things know they contain beef and are choosing to buy it for that reason”, it’s also hidden in soup bases and other processed food. Sugar and corn are even more hidden. Traditional bread doesn’t contain sugar, but it’s hard to find a loaf without sugar without paying an artisan price. And corn is fed to the cows. Finally, institutional cafeterias. When you work or go to school in an isolated building, it can be difficult to avoid eating what’s on the menu or bring your own food every day. And if you’re in prison or the hospital, you have no choice. So part of the issue is America’s beef palate. But part of it is the system of farm subsidies and factory farming that makes it easy and cheap to eat lots of beef, and practically shoves it down your throat with marketing and ubiquidy and hidden beef and dairy, and makes alternatives harder to obtain and more expensive. This. Methane is a *much* more potent greenhouse gas than CO2. Not to mention the carbon intensive (and even more alarming water intensive!) nature of maintaining large scale ranches and dairies. What ever happened to that great tasting Soylent-Green they were experimenting with in the early ’70’s? Brent, have read that the hooves of the bison didn’t do any damage to their grazing grounds. But cattle, which were imported from Europe, have been doing damage since their arrival. To both the range land and the people who eat them in much too large portion and quantity, with much too much fat still attached. To the cow too. Have also read, and which I think we should live as if we believed, is that we evolved to eat exactly as much meat as we can chase down and club. Reason this is possible is that while an antelope can win in a sprint, we can run him down at a leisurely trot. Also, need to get the details of the “Paleo” diet. But I think the main factor that kept our forebears in in such excellent condition through so much pre-modern history has been inadvertently left out. Leopards. Though this deficiency could be the work of the WHS (World Humane Society). Reason being that with all the overweight chemical-soaked cows humans eat, if a leopard gets a hundred feet downwind of one, it’s already half-way there to becoming a handbag. And tragically unable to hang its own hard-earned wildebeest up a tree like in yesterday’s comment where I used our Mayor’s picture to depict a lioness. The tag is on her other ear. And Al S., really horrible example of your point for, what’s it been, a month now? In the recently-grass lands of California, there’s a tree called a bristlecone pine. Specimens 5,000 years old have been found. And their seeds can’t even germinate ’til the cones are burned. So California needs a Constitutional amendment forbidding both construction permits and insurance policies within twenty miles of a single bristlecone pine tree. And an end to fire-icide policies that let shrubbery grow ’til a dropped match has a thousand acre fresh-dried birdsnest for breakfast. Home entertainment center inside can make it look all your neighbors have peaked roofs instead of shrubbery above the attic. Construction style probably good idea for Indiana too. Is this the “cows fart” argument? But doesn’t cow methane come from the plants they eat, which come from the carbon in the air? That sounds like more how trees grow and where they temporarily sequester carbon, than digging million-year-old oil out of the ground which is a net addition of carbon over human timescales. It’s also a difference in how CH4 vs CO2 responds to infrared radiation. Mike Orr: I read a book about digestive systems. The methane doesn’t come from farts. It doesn’t even come from burps. The cattle digest the food they eat in their second stomachs and bacteria help them to break it down. The methane produced by the bacteria is absorbed in the blood, gets exchanged in the lungs and the cattle exhale it. Since I read this book over a year ago, I may be remembering some of it incorrectly, but I’m pretty sure I’ve got the gist of it. Half the world lives on less than two dollars a day, so that’s not a very useful comparison. How about the US compared to other industrialized countries? Do we eat more beef than Europeans or Canadians or Argentinians or Australians? If so, what are they eating instead? I grew up having steak several times a week, but now I have it a few times a year. I have beef in pho and tacos and spaghetti but that’s not much at a time.There are people who eat fast food hamburgers all the time or the traditional steak and potatoes meal, but are there really that many to make the US stand out in beef use? I was about to say this. The yellow-heavy area in the first map is the same area where there’s not enough water for a larger population. So let the cows eat the grass. At least until we stop eating as many cows and drinking their milk. See what Brent wrote. It is terrible for the local environment, as well as the world environment. It really doesn’t matter what you feed the cows. Cows just emit a huge amount of methane. Who should Constantine appoint to replace Rob J.? There’ll be such turnover on the SCC that another KCC member probably would be the best bet. While TriMet hasn’t had a huge number of events available where it has been possible to obtain a Hop transit card free of charge, the ZooLights event was an exception: if you purchased ZooLights tickets online from December 1 to 3, Explore Washington Park was including a free Hop card pre-loaded with $5 worth of transit fare. See item 4 on this page. Here’s to hoping that there are more such events planned for both the Portland and Puget Sound areas. Speaking of Hop – my experience obtaining this card was not great. I took the Amtrak from Seattle and had to try 2 convenience stores before finding the card available for sale. I looked up Hop retailers on the TriMet webstie, but the first place told me they stopped selling them because “the street people get transit for free so nobody buys them from us.” The second place, about a mile south had them but didn’t know how to set the card up. Eventually I got the card, and paid to preload it. Took it to the train, tried to scan it and it had no balance, so I had to go back and have them figure it out again. After that, it worked great through the app to add and check the balance, but man it was like 1.5 hours before I was able to transfer from Amtrak to TriMet. Why aren’t there vending machines or something at the train station? I’m sure there was an easier way to do this, but I’d think it would be a little easier to take a train to another train in Portland. That’s one thing Pugetopolis gets right: you can buy an ORCA card at any Link TVM including the airport. When I went to the Bay Area, you couldn’t get a card at BART TVMs but only at certain retailers. So it was clearly aimed at residents and not visitors. I ended up buying a round-trip BART fare, went to Powell Street station, and at the cable car kiosk outside it, bought a paper weekly MUNI pass (the scratch-off kind). Hop really isn’t that great for visitors considering all the options available for paper tickets at the MAX machines. ORCA is a bit more desirable due to all the different agencies not accepting tickets from the other. Couldn’t you use your phone? That has worked well for me in PDX in the past but I haven’t tried since HOP was introduced. I agree mostly with this, but Broadway is so narrow that that doesn’t seem feasible, especially if we’re keeping the cycletrack lane. When I was with my Save Our Valley friend driving on Broadway, he said, “They really ruined this street.” I asked why. He pointed to the streetcar tracks and rechannelization and said they were inconvenient for drivers. I don’t drive so I wouldn’t know that. But it seems like an area with Broadway’s density would naturally have a certain number of cars, and the current number is probably close to it. So we more or less made the decision not to have transit lanes when we installed the cycletrack there. In contrast, Jackson Street, 1st Avenue, and Westlake are wide enough that you could have a pair of transit lanes and one car lane in each direction. That seems like the minimum width for transit lanes. In some places you could go with one transit lane and one car lane, and a nearby couplet the other direction. You see that to some extent in Europe. But I think that generally requires a different kind of street/housing scape than we have: those areas are more like the CD if it were flat, not like Broadway or 15th Ave E where there’s really only one main street and the hills make it difficult to have another one next to it, or a bunch of small long streets. I don’t find it any more “inconvenient” to drive on a street with streetcar tracks than a street without streetcar tracks. Any “inconvenience” is simply due to Capital Hill and First Hill being dense parts of a major city. You just have to be patient and attentive. Don’t like it, don’t drive through dense parts of a major city! You may not be able to immediately kick all the cars off of Broadway, but at least only allow local traffic. Similar to the shared bus lanes that require drivers to take the next right turn. 12th Ave. and Boren are much better driving alternatives for thru traffic, anyway. Kick the damn cars off Broadway where the streetcars run. The immediate area around the hospitals with legacy entrances would be the only place where the general public would be allowed. Having been, and still pretty much am, your classic car-centric suburbanite, with the ‘through the windshield’ view makes it obvious to me that transit proponents don’t understand this perspective. Suburbanites from the north exit I-5 at Roanoke, and take 10th Ave E, and Broadway to get to the hospitals. Any local traffic can easily navigate the other parallel streets. If I were a business, I’d be likely to participate in some sort of parking/streetcar-fare validation program that would let tourists and the auto-bound, park their car in one location to shop, and then access business via the streetcar along the route. Why does Seattle feel they need to bend over backward for the SOV public on this matter? Unless there is hard data saying otherwise, I would suggest that at least 1/2 the traffic on Broadway/10th Ave E is just cut-through traffic to avoid I-5. Isn’t 12th just 2 blocks away, and wide and fast? If you’re in a personal massive metal box in a space-constrained city, you should expect to have to go a bit out of your way as a price for the privilege of bringing it with you. 12th is an alternative for some trips but it peters out at the north end so you eventually have to switch to Broadway/10th. And it may be out of the way if your destination is west of Broadway. I like the idea of pedestrianized neigbhorhood centers but you can’t just plop them down anywhere, you at least have to look at the context of the place. And the context of Capitol Hill is one main street with hills and barriers and I-5 a few blocks away. So if you pedestrianize Broadway from Yesler to Roy, that’s taking out the middle of the area, like the 1980s calls to pedestrianize Pine between 4th and 5th, or Aleks’ proposal for a Madison woonerf between 12th and 16th. We can’t even get transit lanes on Aurora or 23rd or reduce parking on 45th, so we’re really a long way from pedestrianizing Broadway. Fine, it’s an ideal, but I’m more interested in things that have a chance of happening. And this idea that we can just pedestrianize Broadway at the drop of a hat seems to not have considered where it is or how it functions in the area it’s in. It would be easier to pedestrianize University Way because it’s not the highest-volume street: the highest-volume street is next to it on 15th. Can you refresh my memory on this as to why Broadway was selected over 12th for running the northern end of the FHS? Was it because this was ST’s rather lame consolation prize and it kinda, sorta connects First Hill to Link? I always thought that 12th was the better option with the wider ROW (center running line?) and better options for any GPL diet/channelization effort. And now that there has been some significant density infill in the blocks east of Broadway, particularly in the Pine to Union area, the 12th Ave option looks even better in hindsight. Oh well. Thanks in advance for the refresher. I don’t remember the specific decision but the general gist was that the hospitals and most of the shopping is on Broadway and west of it, and 12th is too far down a steep hill for people to go up and down every day. 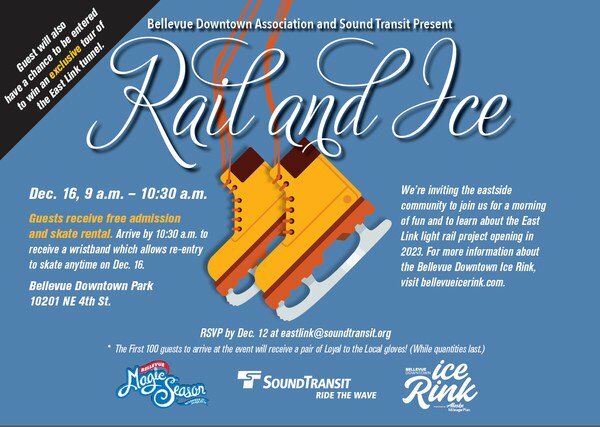 The streetcar was most specifically to bring workers from Sounder and Link to the hospitals and surrounding businesses. instead of considering exclusive lanes for low ridership streetcars, we should consider lanes for high ridership transit, whether steel wheel or rubber tired. SDOT has put red paint down on a few crucial blocks (e.g., Wall-Battery streets, Midvale, Spring Street, 9th Avenue, etc). the issue with using boutique modes (e.g., CCC streetcar or Madison RR with left side doors) is that limits the frequency. wait time is crucial in attracting ridership. since right of way is scarce, it should be devoted to pathway with many trips and many riders (see 3rd Avenue). it is very costly to achieve much frequency with Seattle streetcars; are they six million each? Streetcars are a “boutique” mode in Seattle mainly because there are so few miles of streetcar. They are definitely not “boutique” in many cities in the world that have invested in more complete systems! First step of being “complete” = actually passing through the city center. New standards allowing US transit agencies to buy cheaper, lighter “Euro” style trains could bring down the cost in the future? As well as driver-less automation (much easier to do it in a fixed guide way than with busses)? Don’t busses need replacement and repairs more frequently than trains, partially mitigating the higher upfront cost? The change in standards doesn’t impact streetcars. It only applies to compression standards on regular passenger trains such as Sounder and Amtrak. When people say streetcar lanes they usually mean buses can use them too. That’s the case on Westlake and will be the case on 1st. (Although there are no routes on 1st in Metro’s long-range plan, except the one block where Madison RapidRide will turn around. But a rep at the streetcar open house assured me the lanes would be bus-compatible in case there’s a future north-south bus route on 1st. a fleet with left side doors would be needed to use the inside island stops. do buses grow on trees? Metro is ordering them for Madison. 45th also may have center lanes in the blocks around I-5. So they may sttart appearing on several routes. Metro SDOT is ordering them for Madison. RapidRide intrinsically involves new buses; otherwise it would be called Frequent rather than Rapid. The existing RapidRide buses are committed to existing routes, so you need to order new ones anyway. So they can just as easily be five-door instead of three-door. The cheapest way to buy more frequency is to speed it up via exclusive row. And streetcars get more stuck because they can’t go around cars. Although I totally support new bus lanes on high ridership routes too. Securitas needs to go. If actual police officers aren’t willing to patrol ST stations (why not?) then we need to find another publicly accountable solution. The police are busy catching murderers, investigating thefts, and talking down suiciders. They can’t station one at every station the whole time it’s open. Not a hard one. Swear in every guard now with Securitas to our own transit police. After a year in Gothenburg training on the streetcars there. And if the Agencies presently signing the guards’ paychecks say they can’t afford anymore police officers to do the jobs…..at least we’ll get to see them say it out loud on TV. Where all their passengers can hear them. I’m assuming it’s a financial decision by ST more than anything else. Are Seattle police officers still allowed to do “off-duty” contract work? I recall when I used to live in the CD in the late 80s there were SPD officers in several of the grocery stores I patronized, such as the Rogers on MLK and Union and the QFC on 15th on Cap Hill. Yes, officers are doing off-duty work in parking garages and such. I’ve seen policemen in grocery stores, but I thought they were on duty checking in on the store as part of their neighborhood patrol. That is a horrible, terrible excuse. NYPD patrols NYCT, LAPD patrols the LA Metro, CPD patrols the CTA. Other transit agencies like WMATA and BART have their own public police force. Securitas has NO BUSINESS acting like a public police department in a public place. Sound Transit needs to get rid of them immediately. Does “patrol” mean they’re in every station continuously, or that they pass through every few hours and are on call nearby? The advantage of security guards is that there’s always one there supposedly, not only to deter harrassment but also to help disabled riders if they need it, answer passenger questions, deal with the escalators if they acts up, and put up signs saying the escalator is broken. Sorry, Mark. I’m aware of your feelings towards Securitas based on your trip to Scandinavia but this is most assuredly not Sweden. The couple of interactions I’ve had with Securitas on ST were not particularly pleasant (on their side); in fact were more “I have POWER!” mall-coppery from their end. As a middle-aged white guy with disposable income I can only imagine what sort of interactions other people may have; I had the ability to move away from them but others may indeed face more harassment. Privatization of public functions – like security – is not usually a great idea in this country whatever your experience (and mine) in Scandinavia may have been. Mike, the point is nearly every city on earth manages to secure their public infrastructure with a public police agency. There’s no reason Seattle can’t do the same. Sound Transit is choosing to privatize it and I am saying they shouldn’t, especially not to a company with a history of violent corruption like Securitas. I’m more uncomfortable around those trigger-happy meatheads than any passenger I’ve encountered on the platform. I live in NYC now and NYPD is at major stations 24/7, some even have official precincts built into the stations which are marked on the subway map. Community policing was recently expanded so every station has a designated patrol officer from the neighborhood precinct because why should the subway platform be treated any different from the sidewalk? They are as integral to the city as any other public space and we don’t rely on Securitas to patrol our parks, do we? I can’t speak for Chicago or LA because I’ve never lived there but they manage to use actual police despite having much larger systems than Seattle does. The Board Security, Law Enforcement, and Emergency Management Policy, Resolution No. Sound Transit’s Public Safety and Security strategy. Sound Transit determines the staffing hours needed for its facilities and services. The contractor determines staffing levels and numbers. Costs for contracted services are based on the actual hours of service provided. presence and patrols for Sounder, Tacoma Link, Link, and ST Express facilities. service interruptions and monitors CCTV and Customer Emergency Call Stations. 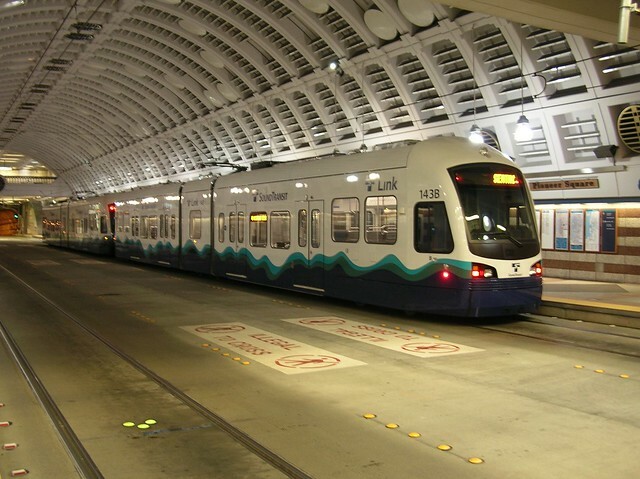 Securitas Security Services USA, Inc. was selected as the best value for Sound Transit. for a total amount not to exceed $171,234,934. The first year of the contract will be funded through the Board adoption of the 2019 annual operating budget. •Staffing levels are expect to increase from 160 to 210.
eddiew, notevenalittlebitofa chance that if streetcars can run their own lanes, they might become “high ridership transit? Also, since streetcars have a lot less side-to-side motion than buses (given correctly-designed and laid track) they’re better close company than buses? Also, we can use both Bellevue Transit Center and Federal Way Park and Ride to verify that a standard right-side-door-only bus- or streetcar- at First and Jackson or Pine and First-can be switched diagonally across the entryway so it runs counterflow along its whole length of the transitway. With regular doors serving center platform. Effective barrier necessary- narrow planter about three and a half feet high, filled with decorative thorn bushes. But would save a fortune in non-standard vehicles. And if need be, worked with every other vehicle in the fleet. If we think a human supervisor controlling the crossovers- think another person’s wages are worth the expense. Re: driverless anything- building elevator. Vancouver Skytrain. OK. Single grade crossing -run it by Risk Management and get back to us. $6 million each? Would like to shop some more. But no harm asking how much new convention center is costing. Also, Pike Place Market Association’s reading of the balance sheet. Remember- they could get First Avenue a couple of hundred parked-car-free customers every arrival. How many boutique customers walk away with MAGA hats and taxidermized marmots on their heads, versus how many glow-in-the-dark Antifreeze-Green to Deadly-Poison Purple dreadlocks will be in the combined hairpieces that the Chief and Vladimir Putin will wear to opening of the Waterfront hotel that what Seattle has become now really deserves? Wow. The most important article this week was about how every tax levy put forth to the voters is a complete fraud. What is promised NEVER gets delivered. Yet no comment from anyone on this board. Pathetic. Not a single soul-searcher on this site. And I am sure that I will be bashed, if not evicted, for suggesting that the progressive view that more government funded by higher taxes is the solution to every ill on earth is 100% erroneous.